Located in St. Andrews town centre, this property features a restaurant with bar. A microwave is offered in all rooms. Free Wi-Fi is provided in all areas. Kingsbrae Gardens are 10 minutes’ walk away. the Kennedy Inn is a beautiful 25 room inn located in the heart of St Andrews By-the-Sea. 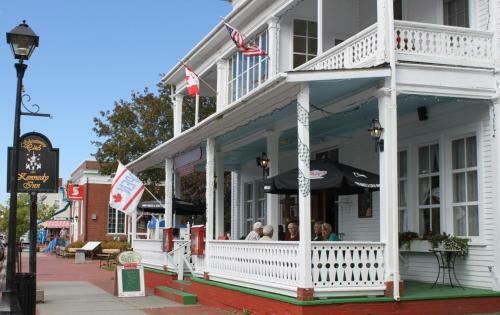 Being Canada's oldest summer hotel, the Kennedy Inn offers comfortable and cozy rooms with all the amenities of a modern inn. Come see our new neighbors on May 10th! !